Hillside, NJ — October 6, 2015 – WizKids, maker of the popular Dice Masters series of tabletop dice-building games, is pleased to announce the newest game in the platform, featuring everyone’s favorite wall-crawler: Marvel’s Spider-Man! The new Marvel Dice Masters: The Amazing Spider­-Man collection will arrive in North American retail this November, and promises plenty of fun and awesome dice-building adventures for fans and collectors. The Marvel Dice Masters: The Amazing Spider­-Man Starter Set features fan-favorite characters like Spider­-Man, Ghost Rider, Kingpin, and more! Marvel Dice Masters: The Amazing Spider­-Man also premieres the Sinister Six, Allies, Underdogs, and other exciting mechanics! 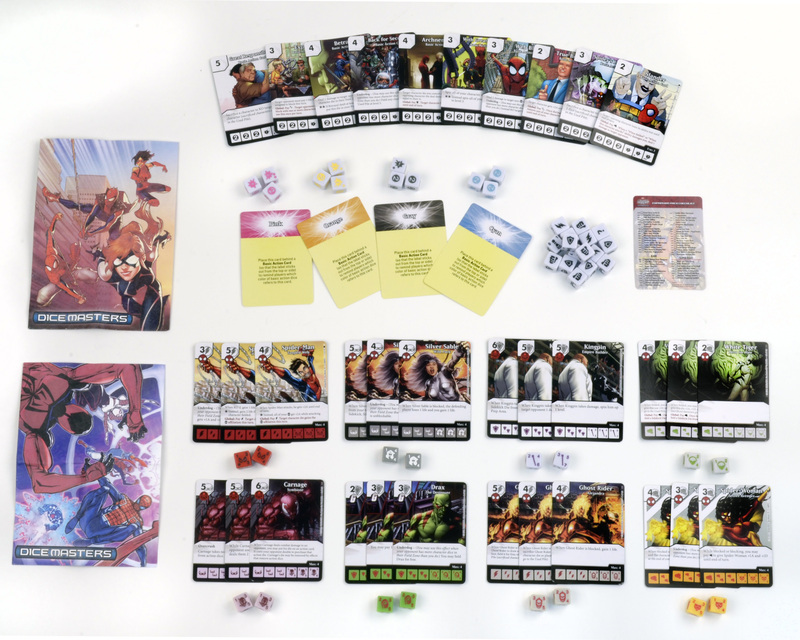 With game­play that supports two players in epic dice battles, Marvel Dice Masters: The Amazing Spider-­Man will let players build their own team of heroes or villains! The Marvel Dice Masters: The Amazing Spider-­Man Starter Set is perfect for the Dice Masters veteran or someone looking to jump into the game fresh! Everything two players need to play Marvel Dice Masters!